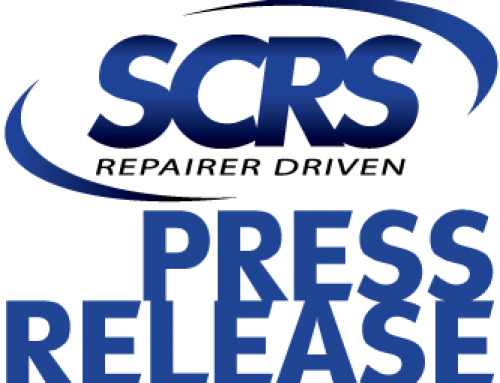 Prosser, Washington, November 21, 2018 – On Friday, November 2nd, the Society of Collision Repair Specialists (SCRS) conducted their annual prize raffle from their booth at the 2018 SEMA Show. Adam Podell of AMP Custom Paint and Collision in New Carlisle, Indiana watched in-person as his wife Stephanie’s name was drawn as the winner of a Spanesi 14500A inverter spot welder, valued at over $28,000. To become eligible for the drawing, Podell and other visitors to the SCRS booth had to pick up a “report card” listing all the exhibiting sponsors of Repairer Driven Education, and visit their booth locations within the Show. They then returned the completed card to the SCRS booth for entry into the drawing. AMP Custom Paint and Collision joined SCRS as a General Member during the SEMA Show on the suggestion of another veteran association member. SCRS wishes to thank Spanesi Americas, Inc. (Spanesi) for its ongoing support, and congratulates the Podells for their good fortune in winning this state-of-the-art piece of collision repair technology.